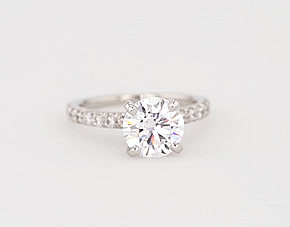 Blue Nile | The Four Cs: Diamond Education Understanding a diamond's characteristics is simple. This video explains the 4Cs - cut, color, clarity, and carat weight - the most important characteristics of buying a diamond. This short tutorial explains the 4Cs of Diamonds - cut, color, clarity, and carat weight - the most important characteristics to understand when making a diamond purchase. 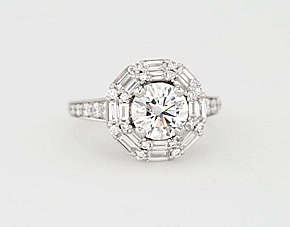 The most important of the 4Cs is cut because it has the greatest influence on a diamond's sparkle. The second most important of the 4Cs is color, which refers to a diamond's lack of color. The less color, the higher the grade. Often the least important of the 4Cs because the tiny imperfections are often microscopic. 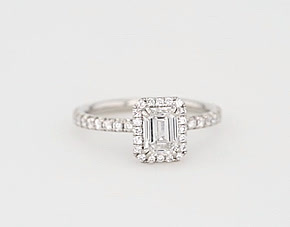 The term carat actually refers to the diamond's total weight and not its size. Each diamond shape has different attributes that affect price and quality grade. 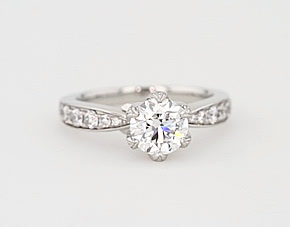 Unbiased diamond grading reports are offered with every Blue Nile diamond. 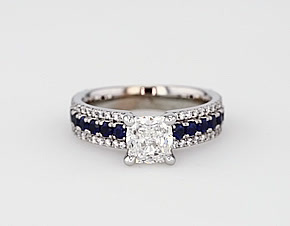 As the largest online diamond retailer, Blue Nile offers the largest collection of the world's finest cut diamonds. Pre-selected for exceptional quality, the cut, color, and clarity of our loose diamonds are evaluated based on a standardized grading scale. Also, each loose diamond is accompanied by a grading report from either GIA, AGSL, or GemEx, independent diamond grading labs with stringent grading and certification guidelines. 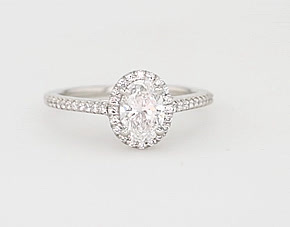 If you find a comparable GIA-graded diamond at a lower price, we'll review to match the price. We offer a lifetime diamond upgrade program on all GIA and AGSL-graded diamonds. 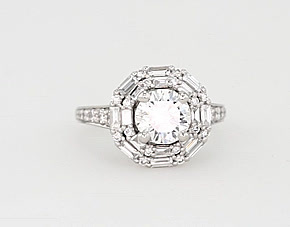 Blue Nile diamonds are ethically sourced with a zero-tolerance policy for conflict diamonds. Check out our customers’ recent creations and find inspiration for one of your own.